AMSAT INDIA members do not only track amateur radio satellites but also actively participate in events related to Amateur Radio. Bangalore amateur radio club (BARC) conducted a Foxhunt (ARDF) event in Bangalore on December 7th 2014. 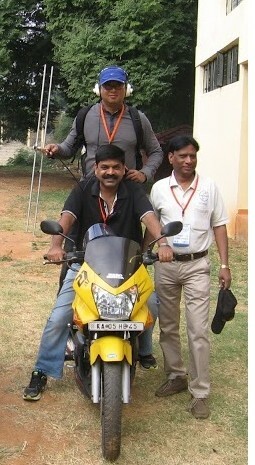 AMSAT INDIA members actively participated in the event and won the first two places. More photographs can be found in the gallery section of the website.